Classic Cinemas | AMERICA: Thomas Jefferson’s Ticked! It’s not all bad, of course. But our 3rd president has some concerns about the USA today. And you may have some questions and comments for him. 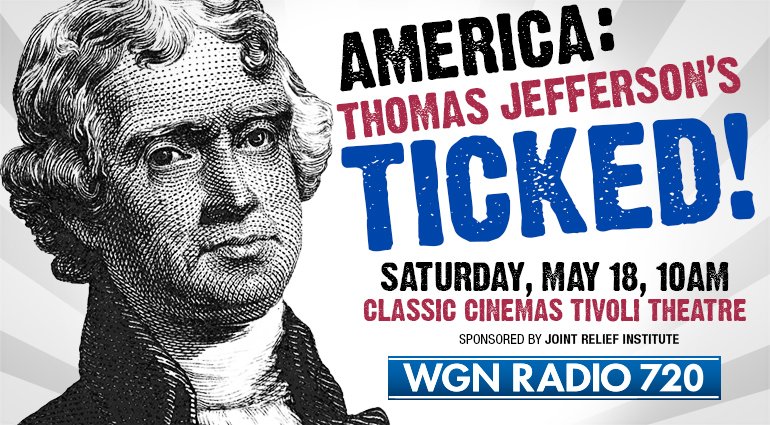 Join WGN’s John Williams and Thomas Jefferson as they take to the stage in an unrehearsed, ever-so timely conversation.